Shawn Marion was upset when he was traded from the Suns to the Heat, but I dont think those feelings will be lasting too much longer. Must be nice to roll around Miami in this 08 Maserati Gran Turismo with 22″ custom painted Forgiato Rasoio wheels. 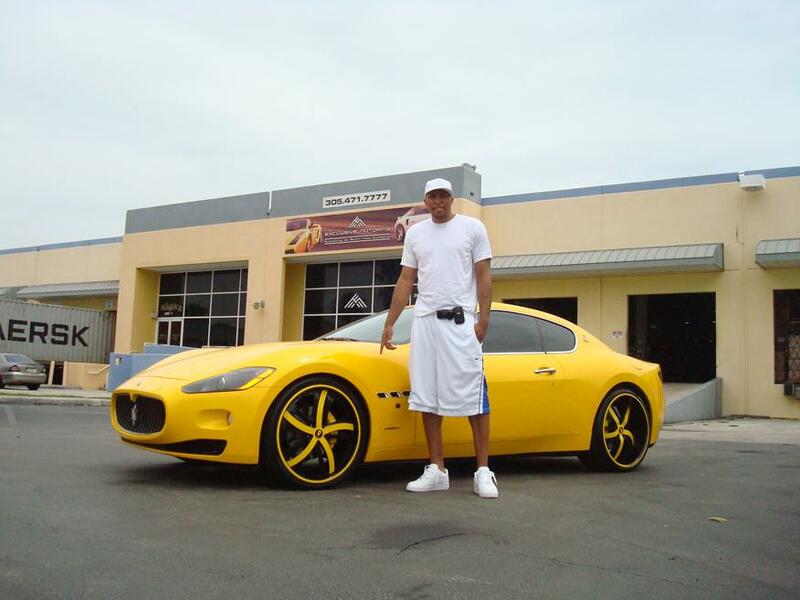 I dont know how he fits in there but I give him an A for having a car that stands out, even in Miami. He ofcourse had his car done at The Auto Firm in Miami by Alex Vega, where all the celebrities go to get their cars fixed up in Miami.